Ohhh yeah, here comes Jean Daddy, Jean Daddy’s comin’. Get ready for a night of soothing melodies, soft rock and smooth jazz. 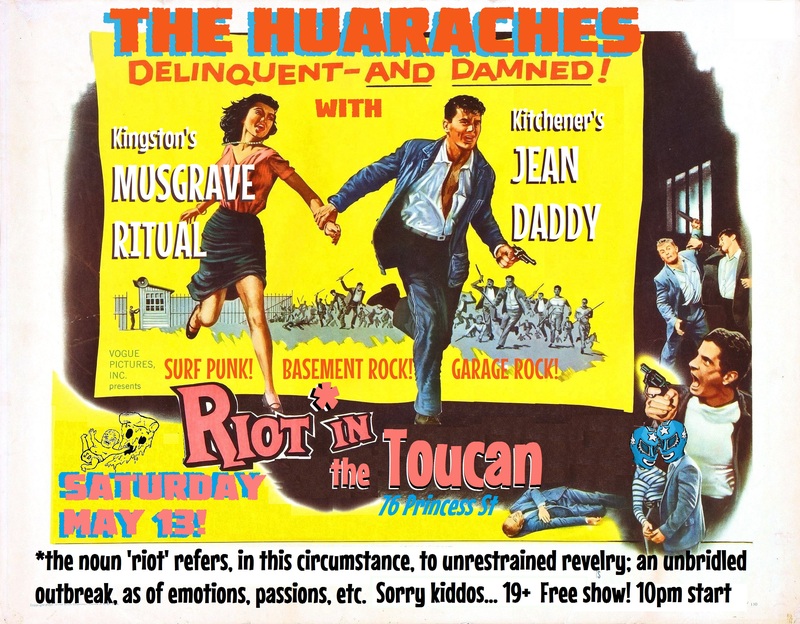 Or come see The Huaraches, Musgrave Ritual, and Kitchener darlings Jean Daddy confuse and delight at The Toucan. Surf punk. Basement rock. Garage rock. Try it, you’ll like it!